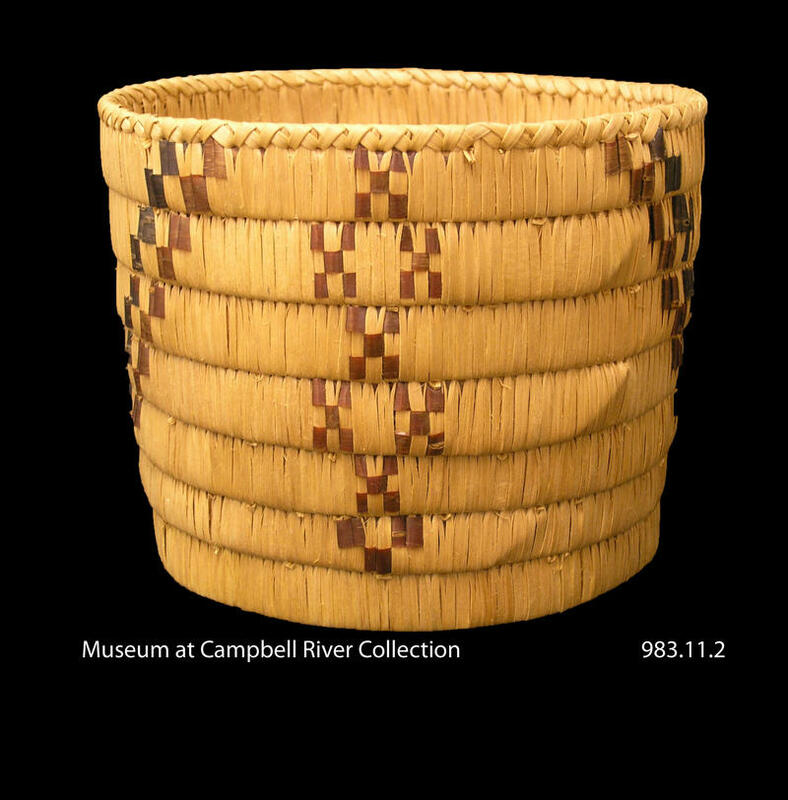 This basket was attributed to Louise Harry by Linda Hogarth, Curator, Museum at Campbell River. 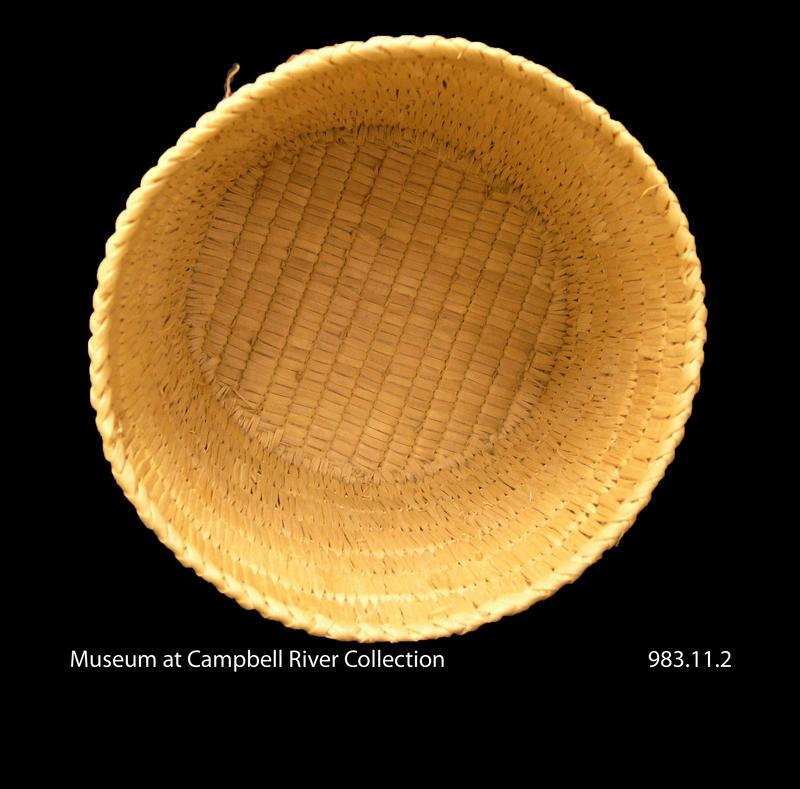 It is almost identical to another basket in the inventory which is from the collection of the Royal BC Museum (RBCM 18324). 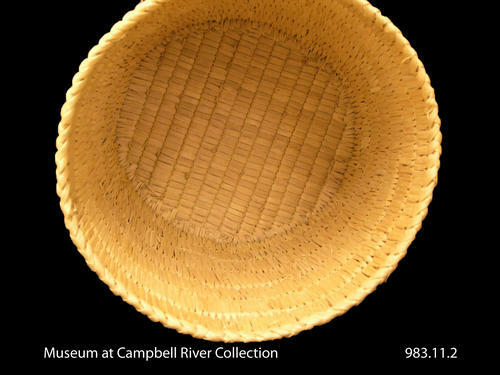 This basket too is identified as Louise's work. 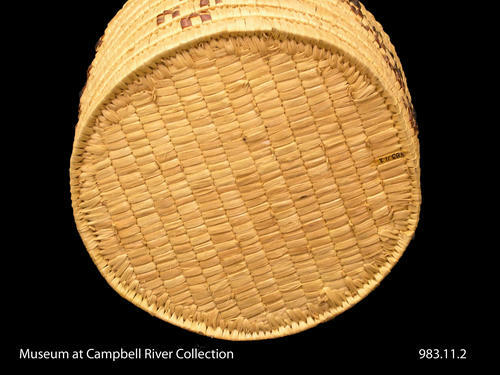 One cylindrically shaped Northern Coast Salish slat coiled basket. Straight walls, flaring slightly. Round slat coil base (14 slats wide) and walls (7 slats high). 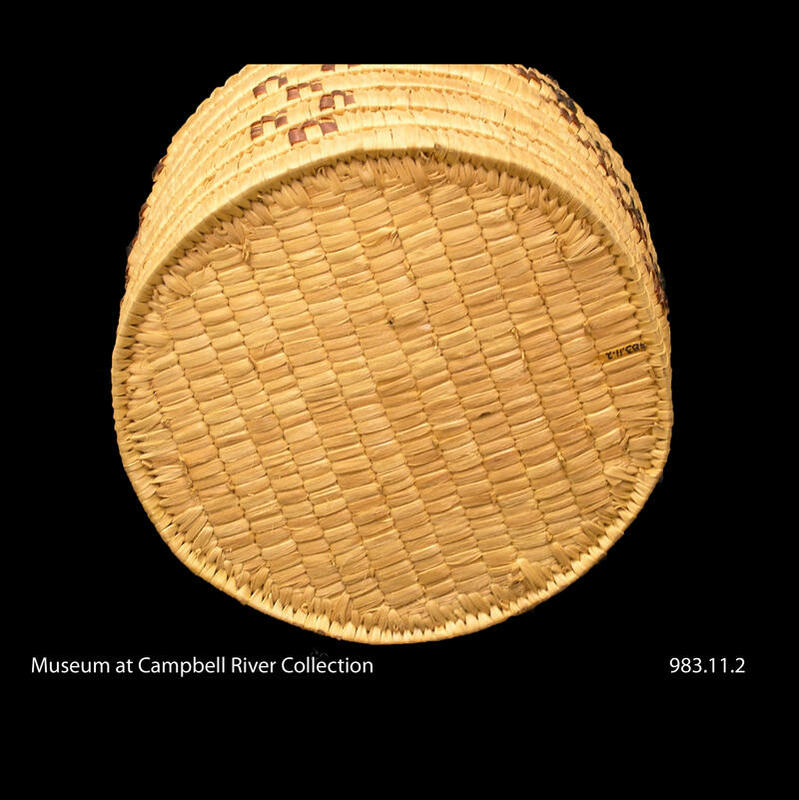 False braid along rim. 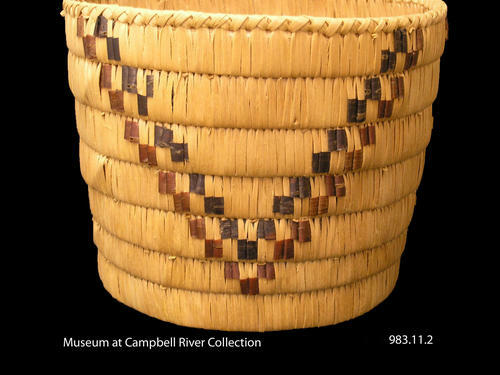 Decorated on opposite sides with large imbricated V shape motifs made from a row of 2 black stitches inside a row of 2 red stitches. 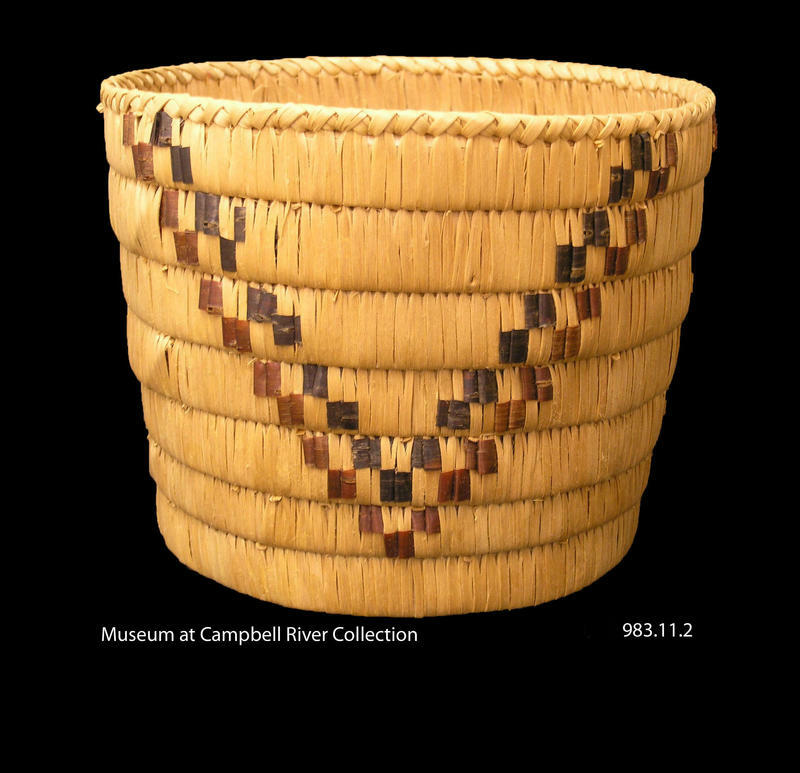 Between the imbricated V's is a vertical bands of beaded 'X' motifs. 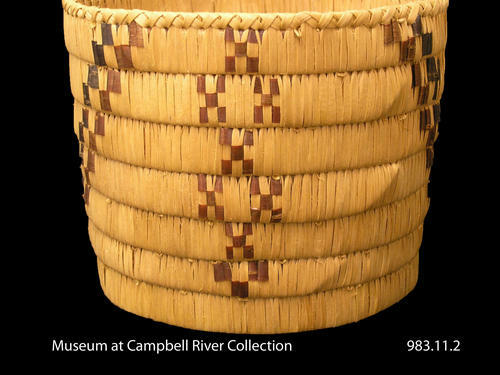 The slats used to construct the base of the basket are narrower than those used in the basket walls, a trait common in Louise's work. Techniques: slat coil, imbrication, beading, false braid.